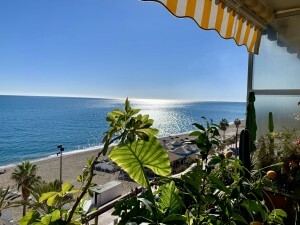 215 exclusive homes designed to enjoy the Mediterranean lifestyle on the Costa del Sol. 2 and 3-bedroom apartments and 2 and 3-bedroom penthouses, all with open plan living areas with an integrated kitchen, fully fitted with appliances of the highest standard. All the rooms extend outwards leading to a terrace with glass balustrade providing uninterrupted, breathtaking views of the stunning landscape and gardens; some units enjoy fabulous sea views. For the penthouses there is an option for a private plunge pool. A spectacular pool area is located in the middle of the development and a private Spa, jacuzzi and gym will be available for the owners and their guests. For convenience the units have a separate laundry room, private parking and a storage room included. The high quality of the materials used is complemented by a cutting-edge design created by the distinguished architect Joaquin Torres and his A-cero Studio ensuring you will have an exceptional home in the up and coming area of Estepona. 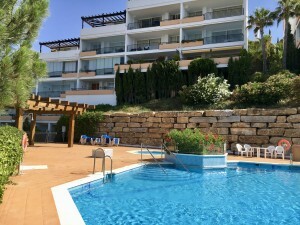 With walking distance to traditional tapas bars, restaurants and a 9-hole golf course and only a 5 minutes drive to the beach, this is a must see project and location.